The popular Rainbow Rectangular Alphabet Mat is a brightly coloured A to Z education rug which has been designed for use in schools, pre-schools and nurseries. 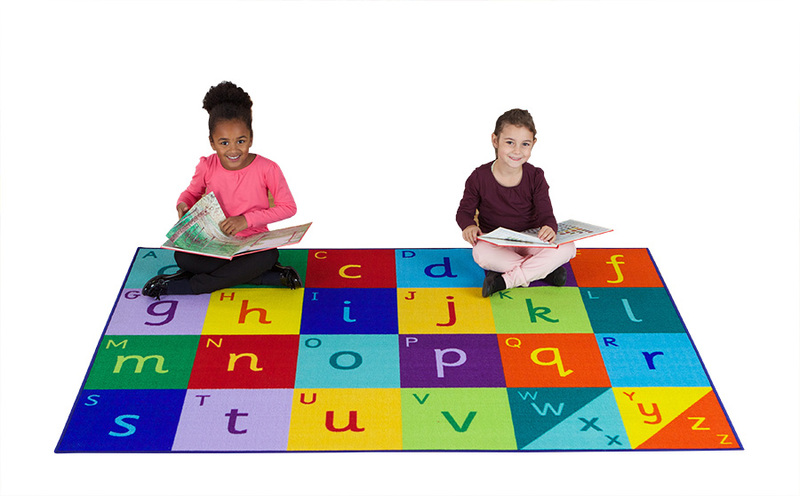 A bright addition to any classroom, this classroom carpet provides support for basic Key Stage 1 Literacy skills. It features 20 squares which can be used as placement spots for children to sit on and is a great teaching aid for early years’ children. Suitable for use in classroom reading corners, play areas or everyday classroom use. Manufactured using a durable tuf-loop Nylon which is soft textured and designed for high use areas. The tightly bound edges prevent fraying for longer lasting carpets. The specially designed Rhombus anti-slip backing allows you to use the classroom rug on all surfaces.